Peaches are in season here in Washington State and I picked up a bulk load of 75 pounds of them last week! 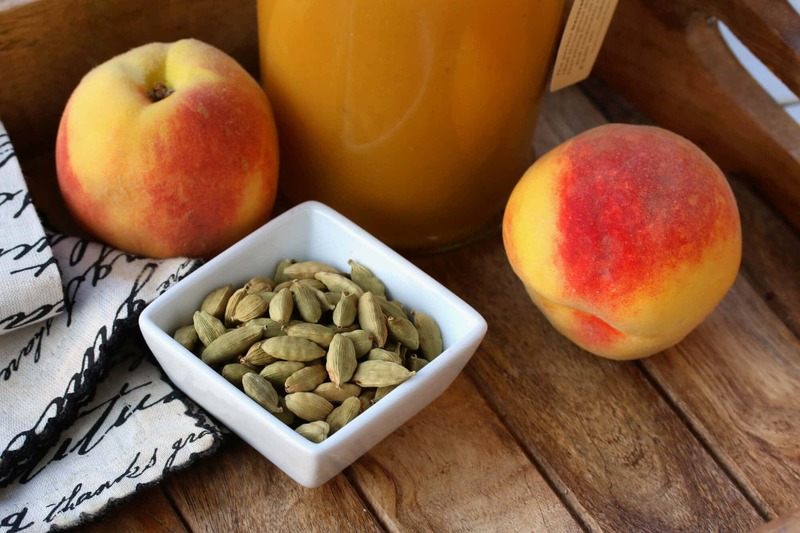 I’ve been busy chopping and freezing them for smoothies, canning them, making fruit leather, peach cobbler and peach crisp, and thought I’d try something new – this delightful Honeyed Peach Cardamom Sauce. 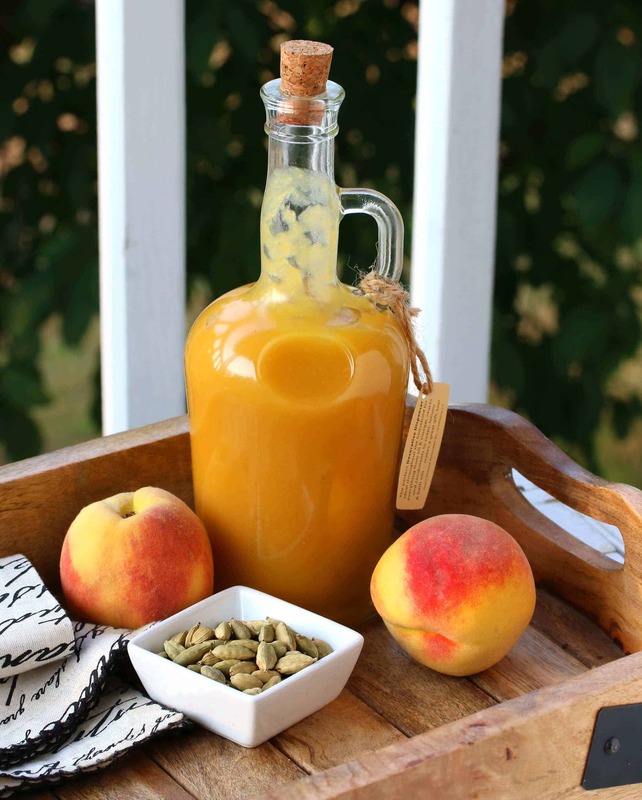 Combining honey with peach is a no-brainer and cardamom with peach is likewise a match made in heaven. This sauce is delicious on pancakes, waffles, crepes, cake, ice cream and more. But this sauce is also amazing served with a variety of savory dishes including grilled or pan-fried chicken, pork or fish! 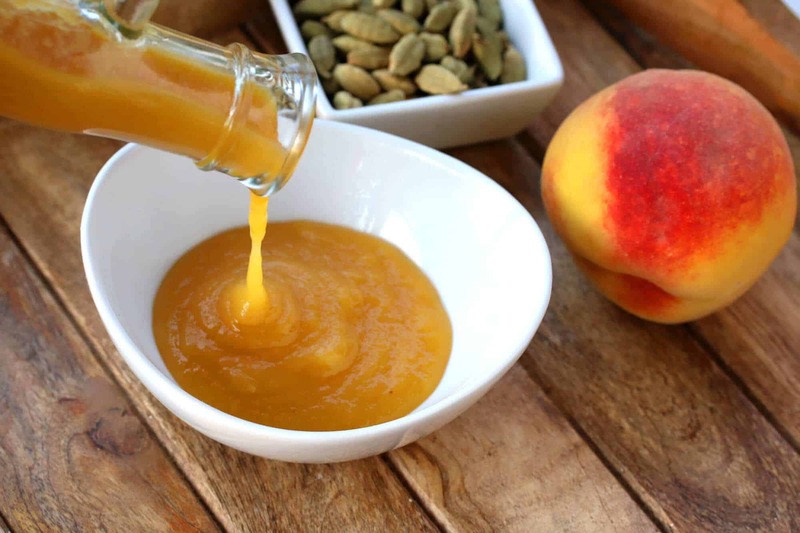 I served this Honey Peach Cardamom sauce with pan-fried salmon last night and it was a big hit! This sauce is so delicious it’s tempting to just eat it up with a spoon like applesauce! It would also be amazing turned into homemade fruit leather! Though in the case of fruit leather you can cut the honey down by half if you want because fruit leather, being more concentrated because it’s dried, will be sweet enough. Whether you serve this sauce with dessert or in a savory dish, you’re going to love it! Peel, pit and slice the peaches. Place them in a pot along with the water, honey and cardamom seeds. 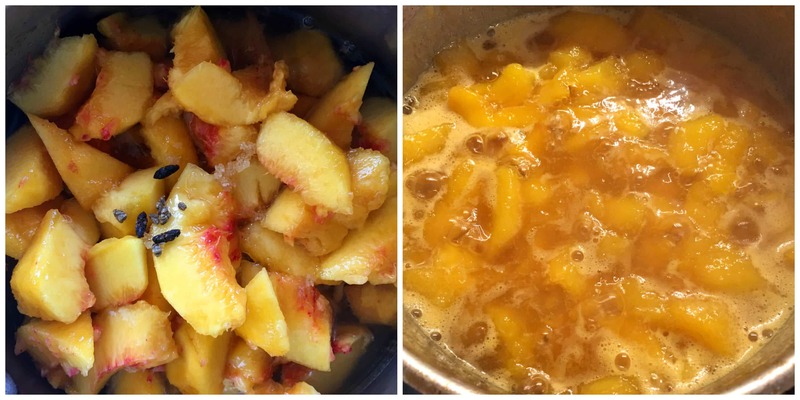 Bring to a boil, reduce the heat to medium-low, cover and simmer for 25 minutes or until the peaches are soft. 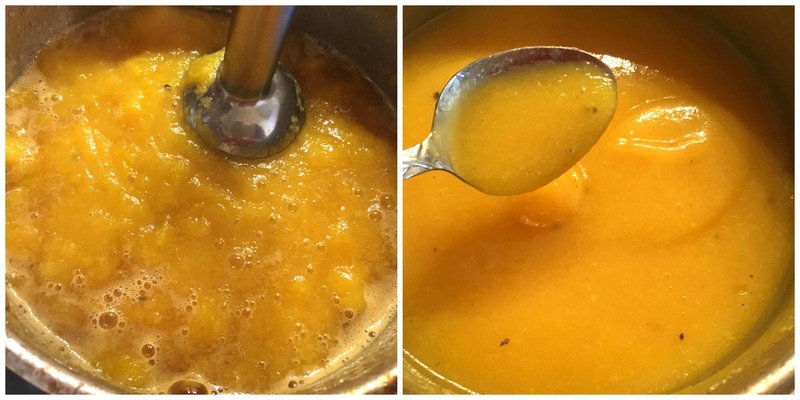 Use an immersion blender or transfer to a blender and puree until smooth. This makes roughly 2 1/3 cups or 17 ounces. 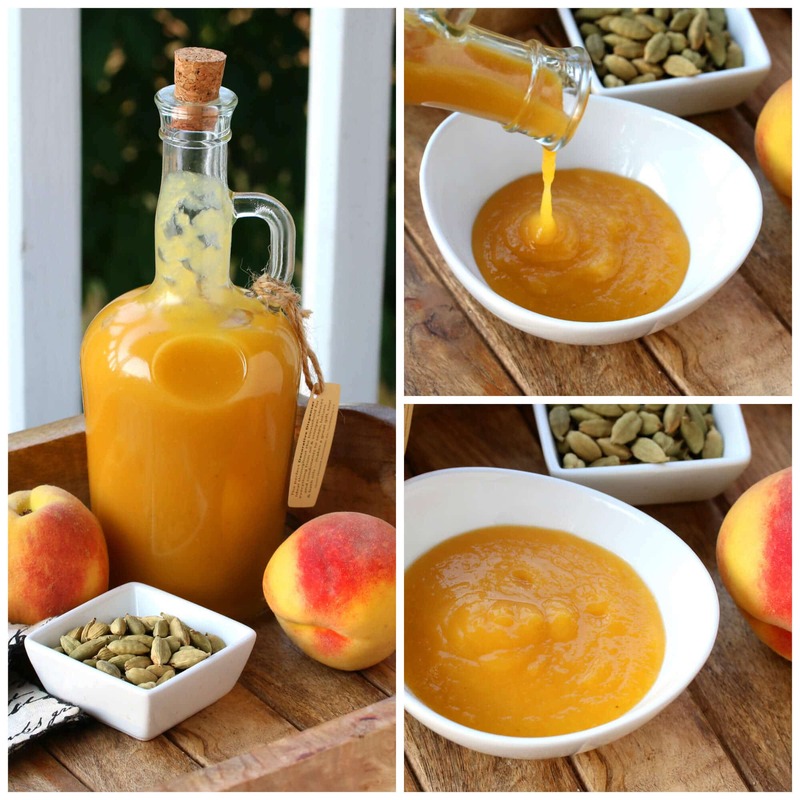 FOR CANNING: You can also can this sauce for long-term storage. Omit the butter and ladle the hot sauce into sterilized jars, leaving 1/2 inch headspace, wipe the rims with a damp cloth and screw on the lids/rims. Process in a boiling water canner for 10 minutes. Carefully remove the jars and let them sit undisturbed for 24 hours. Check the seals. Stored in a dark, cool place, this will keep for at least a year but for best flavor use within 6 months. 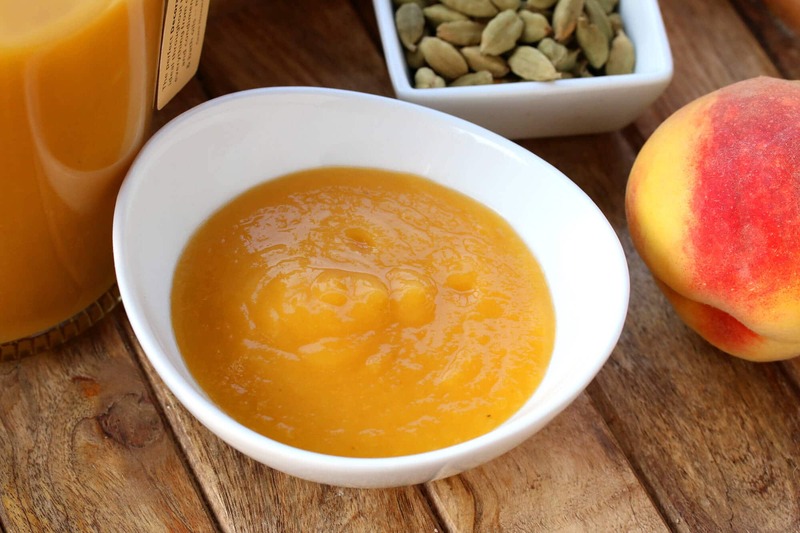 This dessert sauce is delicious on pancakes, waffles, crepes, cake, ice cream and more. It's also perfect for savory dishes like grilled or pan-fried chicken and pork! Place all the ingredients except for the butter in a medium-sized stock pot and bring to a boil. 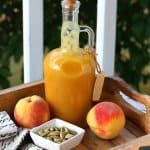 Reduce the heat to medium-low, cover and simmer 25 minutes, stirring occasionally, until the peaches are soft. Use an immersion blender or transfer to a blender and puree until smooth. Add the butter and stir until melted. If the sauce is too thick, add a little water to thin it out. Oh this is seriously wonderful! 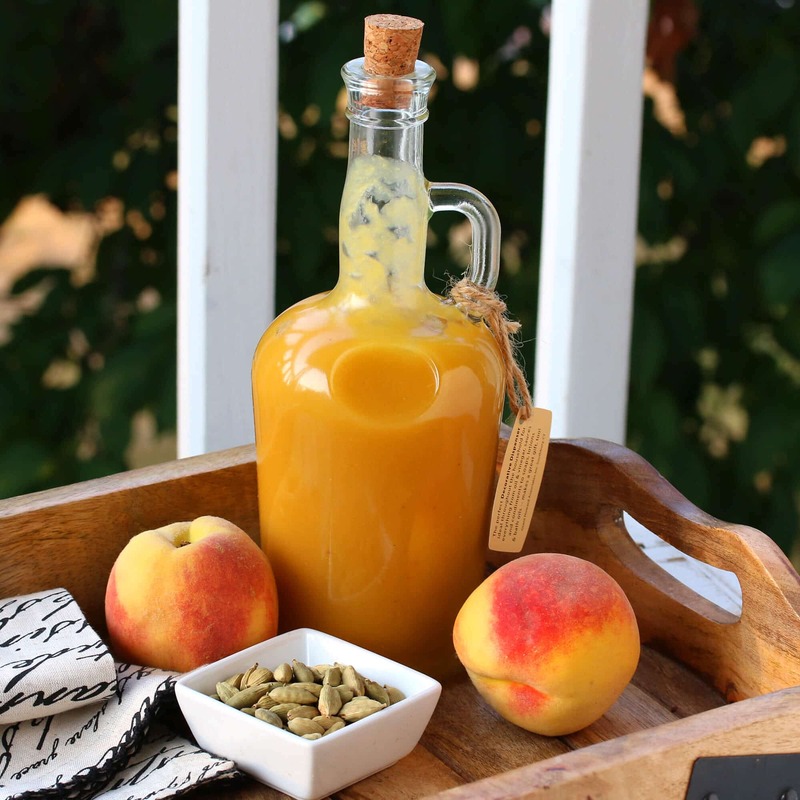 Honey and peach together are always a great combination! I still have so many peaches to use from our tree. Great idea! I’m in love with these flavors! Can’t wait to try this. I absolutely love anything with cardamom! This sauce is positively gorgeous!! I want to put this on my waffles! Love the idea of making fruit leather with this! Thanks for the tip! Every summer I try to enjoy peaches as much as possible. I never get enough of them! This is like locking summer in a bottle. Cannot wait to make this sauce! Oh wow. I love cardamon so I know this would be liquid gold for me! You have been having a lovely time with all your peaches. 😀 I can already taste this in my breakfast smoothie. Summer in a bottle. Can’t wait for Peach season.